Editor’s Note: We are please to present the following article from Dr. Harold Goldstein. Dr. Goldstein is the Executive Director of the California Center for Public Health Advocacy. He is also the Executive Director of Kick the Can. Like a cat caught with the pet canary in its mouth, the world’s largest beverage company has guilt written all over its face. With little feathers still floating all over the house, Coca-Cola wants us to believe it is filled with remorse for spending millions of dollars manipulating science and paying-off researchers to do their bidding. Two weeks ago, the New York Times exposed the Coke-funded Global Energy Balance Network as the industry front group that it is. Coke has been reeling ever since. Flash forward to last Friday when the damage control switch got flipped to hyper-drive. The company’s (soon-to-be-former?) Chairman and CEO, Muhtar Kent reached out to Wall Street Journal readers with a mea culpa of sorts, and a vow to “do better.” I mean, Oops! Kent is making promises of “even more transparency” and being committed to “acting with integrity.” Come on! He’s running the ship that established a non-profit group of expert shills to tell us we just need to walk — or “Mixify” — a little more when we drink all that soda. (Ya, five miles of walking to burn off one 20 oz bottle!) His company spends billions each year on marketing–particularly targeting children and teens of color. 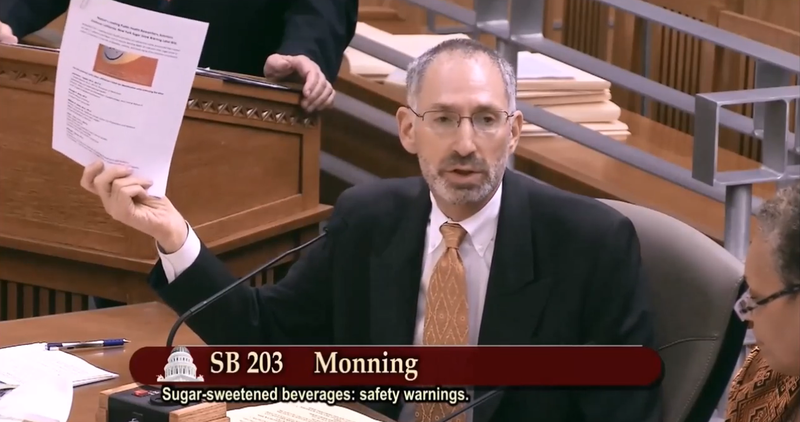 He and his beverage industry brethren spend millions to try to defeat city and statewide measures, like taxes and warning labels. And the list goes on. As if ripped from the “How to Mislead and Deceive” chapter in Big Tobacco’s master playbook, this promise to “do better” does nothing but underscore Coke’s continued effort to maintain its image of “Teaching the World to Sing,” rather than acknowledge that their iconic products are culprits in the skyrocketing diabetes epidemic. To Muhtar Kent and his pals at Coca-Cola who think they’re in the clear after the WSJ apology, we say, we’re on to you. Just like Americans eventually caught on to Joe Camel and the Marlboro Man, they’re catching on to Coke’s deceptions too. The truth seems to be coming out pretty fast these days. No more little birdies for you, Mr. Kent!